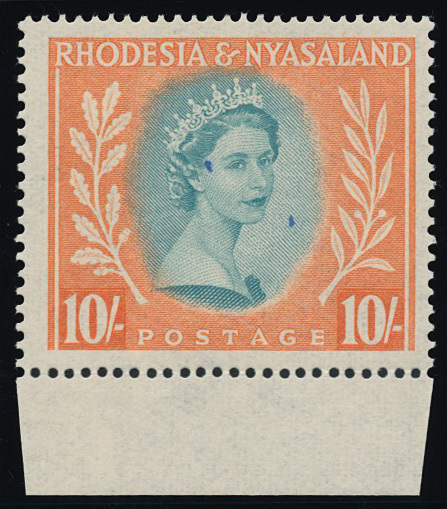 1954 10/- dull blue-green and orange. Lower marginal showing several inking blobs across the Queens portrait. Superb unmounted. Highly unusual on this issue. SG 14 var.